New Year, new you? Or same you just a bit tired and sick of the weather? Whatever the you you're feeling, we have some great ideas to start the year off with a new skill which involves staying in your cosy house and chilling out until the sun comes back out. 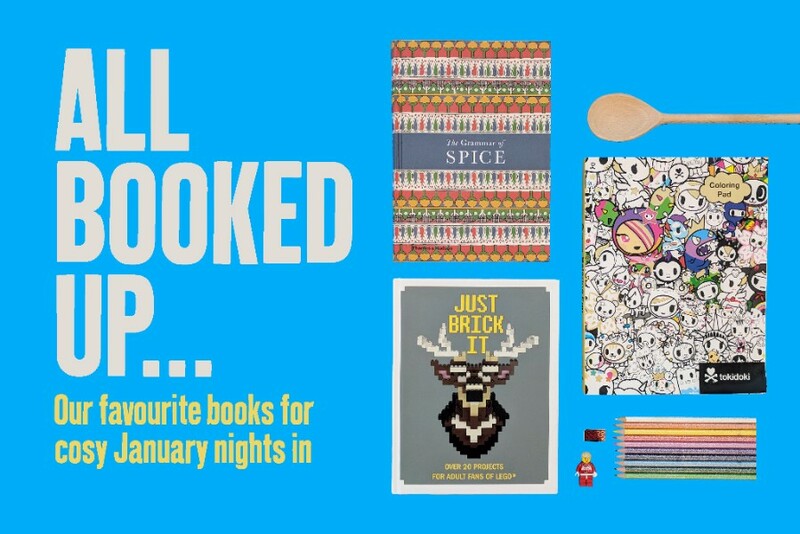 Here's our top 10 lowdown for you to win at January! The ultimate book for Lego enthusiasts. Step aside Lego house, we're building a stag head instead. Prepare to feel educated, inspired and definitely hungry as you investigate the world of spices. Relax with a spot of colouring. This fun-filled pad will keep you entertained for hours. It's not just for the kids. Step-by-step life drawing in just 15 minutes by breaking down the human form into easy-to-draw shapes. Guilty!? Time to put that phone away and do something more interesting. Fairwell mindlessness, hello mindfulness! This handy little cook book will show you how to get through mealtimes this January by making your soups, salads and snack a little more interesting. It's doodle time! Sketch a tiny drawing a day for 642 days or whizz through loads at one go, both ways are equally creatively satisfying. This beautiful book gives you an opportunity to delve into the life and mind of Frida Kahlo with stunning illustrations and die cuts giving the ability to be drawn into her famous and haunting paintings a layer at a time. Whether you're looking to try out a new skill or simply looking for a good book to read, we have loads to choose from. Take a peek at our book collection here.